SharePoint 2010 What’s Hot and What’s Not? #2 NOT! So here we are with the second installment in our occasional series on SharePoint 2010 features for the end user. In part 1 we looked at the new features in SharePoint 2010 that we thought would be most welcomed by end users. Our vote went to FAST Search, because it’s going to make search within SharePoint much more like search in Google – which has to be a good thing. This provoked a lot of debate and whilst some of you agreed with us, others had different candidates for the top spot. A lot of people liked the improved UI and the introduction of the Office Ribbon, others loved the new Metadata features, tagging and voting, and others thought Records Management was going to be a winner. But enough of all this positivity: (we are British after all: skepticism is our default setting!) this week we are looking at our pick for the #1 “turkey” feature SharePoint 2010, the feature that has been really hyped but that we believe could easily sink without a trace. So, today we are going to talk about Business Connectivity Services, and on Monday we’ll come back to Social Networking- we wouldn’t want to bore you by gong on for hours! So, Business Connectivity Services. This is the successor of the Business Data Catalogue, which allowed integration of Line of Business Data into SharePoint. It wasn’t all that well used as a feature (according to the AIIM 2009 State of the Market Report) and where it was used it was almost always used in a read-only capacity – read/write was not available out-of-the-box, and was very tricky to implement through 3rd party applications. BCS goes a lot further and encourages the set up of 2 way, read/write links between SharePoint and Line of Business applications. It sounds great: you will be able to access, amend, even create data for your line of business applications from within SharePoint 2010. Well, nice idea, but we don’t think it’s going to fly. Two way synchronization between any two complex applications is a minefield, both politically and technically. On the technical side, two-way synchronization is a two-way street. SharePoint 2010 may be all set up for seamless integration into your line of business applications, but things may not run so smoothly at the other end. So Microsoft may very well be able to set up SharePoint 2010 so that they can run a search in SP2010 for “Steve Jobs”, see the receipt for the Xbox 360 Mr. Jobs just bought in the accounting system, find his customer record in Salesforce, and change the record of his address and banking details. All done from within SharePoint. But the problems start when we try to push those changed records back into Salesforce and the accounting system. This is really a very complex process and the potential for error is huge. There is a lot of development time involved in making sure that the two (or maybe even more) applications work correctly together. It’s not just a one-off investment in development time either – every time there is a change, or an upgrade or a patch in either system time needs to be spent on figuring out what implications that has for the link – and making changes where needed. Things that look really impressive in the laboratory conditions of a demo can very easily turn into a nightmare when subjected to the constantly changing environment of the real world. The political issue is around security and governance. Line of Business data is generally sensitive and closely guarded stuff. The accounts department might be happy to print out (or these days maybe even email!) endless reports on what’s going on with the numbers – but do they want the rest of the business poking around inside the accounting system? I don’t think so! So in our scenario above, Mr. Jobs returns his Xbox, (because he’s found he gets a much better gaming experience on his new iPad) and asks for a refund. Sales pass the request to accounts, who duly refund the money to Mr. Jobs debit card – only they don’t because the helpful soul who amended the records from within SharePoint has miss-keyed, the card number. The money goes to some random person in Guatemala, accounts have no chance of retrieving it and Mr. Jobs is fuming because he hasn’t got his refund. The head of Accounts can’t even fire anyone, because the person who made the error isn’t in her department! All in all we feel that BCS may fail to live up to the hype once businesses start to look at the implications of this in the the real world. From both development and governance points of view they may well decide that a BDC type read-only connection is going to be good enough – if indeed they feel the need to integrate line of business data into SharePoint at all. The AIIM report seems to bear out our feeling. Of those surveyed who had deployed SharePoint but then stopped using it, the two most common reasons for ceasing use were security concerns, and problems with integration into existing systems. 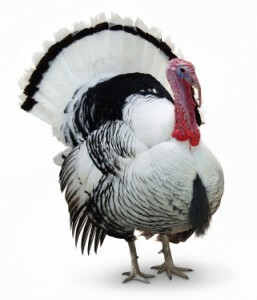 Do you agree with us on this one, or do you have your own #1 candidate for a SP2010 turkey? Let us know your thoughts, and check back on Monday when we will be taking a pot shot at SP2010 Social Networking. I think you raise some good points but that you come to the wrong conclusion. Consider that BCS is now also a part of the base product, SharePoint Foundation. I expect it to be very popular in the same way that ODBC was popular in Office 95. In other words, I don’t expect the major use case to be formal IT driven LOB integration, but rather informal, departmental level, end-user driven integration. Mr.Doug made a very good point that BCS is not available in SharePoint Foundation. So it will be highly used compare to BDC in MOSS 2007. One thing is also right that there are some security concerns but i think there must be some permissions setting will be available to restrict that..
@Doug. I think you have a good point, and such informal integrations would avoid some of the potential political pitfalls, but wouldn’t they still be likely to suffer the same technical difficulties?